Wang Gongyi was born in Tianjin, China in 1946, received her master’s degree from the Printmaking Department at Zhejiang Academy of Fine Arts (now China Academy of Fine Arts) in 1980, and stayed on to teach after graduation. In 1986, she was invited by the French Ministry of Culture to study art and art education in France, and to participate in exhibitions. In 1992, she worked as an associate professor in the Department of Printmaking at the Zhejiang Academy of Fine Arts, and moved to the United States in 2001. 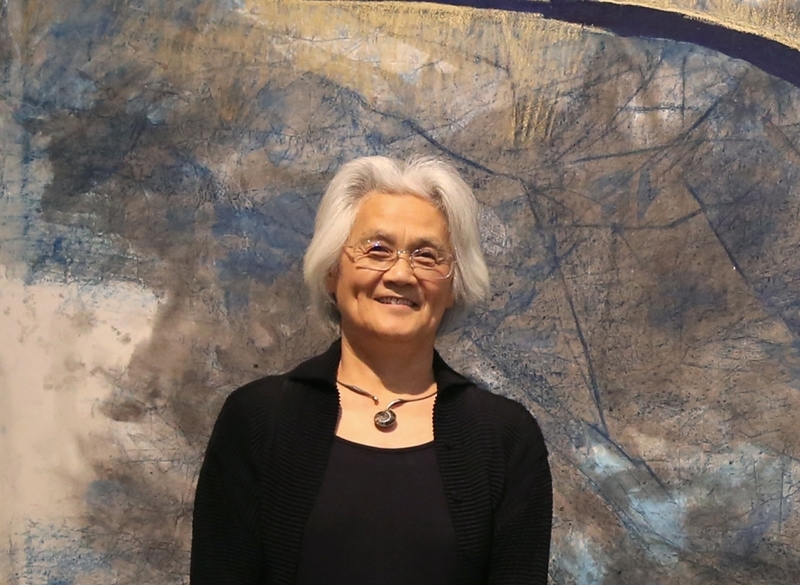 In recent years Wang Gongyi has become known for her ongoing series Windsor Blue, watercolor paintings that combine her love of literature and the natural world, all executed in her signature blue pigment.